The Spirit of Belgium team came to Malta last week with the sole aim of improving their showing from the previous World Championship race in Ukraine. The omens looked good for Shelley Jory-Leigh and Patrick Huybreghts as they finished second in Saturday's Sprint Race. However, disaster struck for the SuperSport team on lap 9 of Sunday's Endurance as the Spirit of Belgium boat hooked and Huybreghts catapulted over Jory-Leigh and into the water. Assistance was quickly on the scene and luckily no-one was hurt. 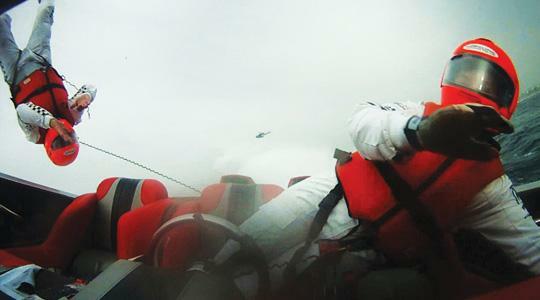 The photo, provided by Tommy Vuylsteke, shows throttleman Huybreghts in mid-air after the incident.